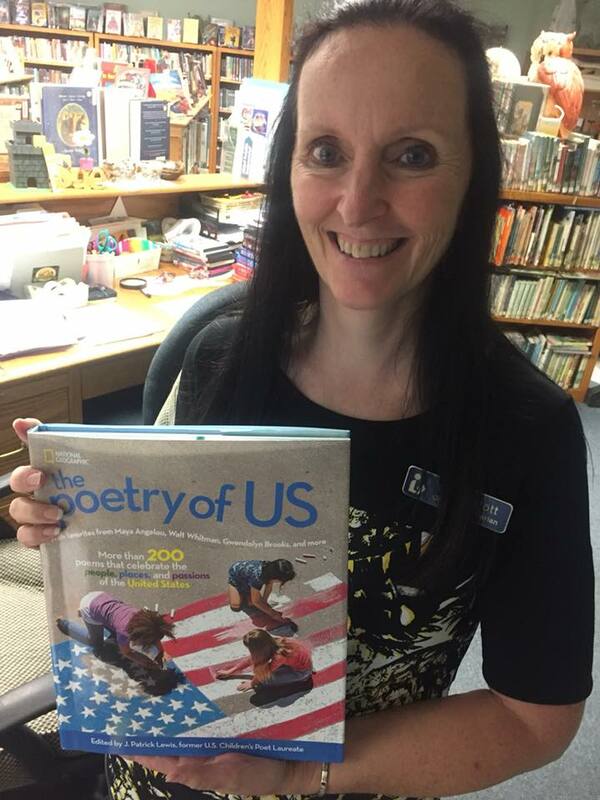 Poetry Friday: “The Poetry of US” book birthday! Yes, it’s finally here! The latest in National Geographic’s series of coffee-table poetry anthologies edited by the inimitable J. Patrick Lewis, former U.S. Children’s Poetry Laureate. I’m incredibly proud to have a poem of mine included in this book, along with 200+ others written by incredibly talented, insightful, witty folks. When Pat first started putting the book together, he asked me if I would write a poem about Las Vegas nightlife. I replied that I’d love to – because if there’s anything a country boy from New Hampshire like me knows all about, it’s Las Vegas nightlife. Ha! Sue, the children’s librarian at our local library, holds up her copy – which arrived before MY copy! So Pat, always the accommodating fellow, asked if I’d prefer a different topic, to which I said, emphatically, NO; I relished the opportunity to write a poem on a subject about which I knew nothing! Seriously, when I think of Las Vegas I think of gambling, showgirls, and cheap steaks…and that’s pretty much it. So I jumped into research mode, reading about the city, learning the demographics, using Google Maps to go for a “virtual drive” around the city, etc. If you’d like to learn more about the Stratosphere Hotel and see the crazy amusement rides (like the Sky Jump) they have at the top of one of the tallest free-standing observation towers in the country, click HERE. For more poetry, head on over to Deowriter, where Jone MacCulloch is hosting Poetry Friday by spotlighting a poem from another poetry anthology, Sylvia Vardell and Janet Wong’s Great Morning (Pomelo Books, 2018). Congratulations to the winners of a personally-signed copy of Flashlight Night (Boyds Mills Press, 2017)! Oh,. thank you so much, Sally! Congratulations for the poem included in this amazing book, Matt. I’ve never been to Las Vegas, an intriguing city that now some tell me invites family visits, hence I see your “glass and girder, sin, and Sky Jump screams.” Wonder what the old-timers think? And the old-timers before THOSE old-timers! The city has a long, very interesting history. Thanks, Linda! Hi, Matt – CONGRATS! And as you noted on my blog, delighted to share book space with you. I had to research from afar, as well – a fun challenge! Love the jigsaw-puzzle pieces – strong image and offers extra pondering, too! Thank you, Robyn! 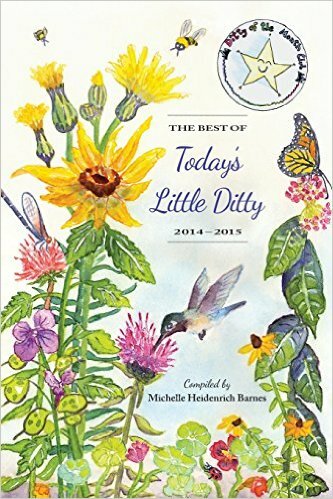 I haven’t had a chance to read all the poems yet because the library has not yet processed the book and I’m still waiting on my own copy…but I’m looking forward to seeing yours and everyone’s in full color! Congrats, Matt! The book and poem are wonderful. I’ve never been to LV myself, but you capture its intricacies masterfully in Stratosphere! Thank you so much, Michelle, I appreciate that. Thanks, Erin – and congratulations!! I sent you a FB message, so when you get a chance, just let me know who to sign it to and where it should be mailed, and I’ll get it off to you. Good for you, using this opportunity to write about something you didn’t know… imagination and empathy, that’s what it takes. Thank you for showing us something beyond the Las Vegas stereotype! Thanks, Irene – and congrats to you on being included in the book, as well! Looking forward to seeing your contribution. What a rich collection! I’m excited to be a part of it, too. Your poem really invites me in to adventure and thinking outside the box. The valley in jigsaw puzzle pieces is a great metaphor. Thanks, Margaret – and congrats to you, too! I did see your name in the contents and was happy for you! Very cool poem — congrats on having it included in this new anthology!! Wow, I have no idea what I would have done with that topic either, but you met the challenge with aplomb, Matt! I especially love the beginning—the Second Babylon provoking and teasing God—and the Valley spread out in jigsaw puzzle pieces. Quite a powerful poem Matt for this towering city of “glass and girder, sin, and Sky Jump screams.” Loved that line, and your last line closes so eloquently. Your poem has the flavor of a tale from long ago but told today– many Congratulations! And what a nice surprise to be the recipient of your “FLASHLIGHT NIGHT” book–thanks I’m looking forward to spending time with it–and I’ll be sure to share it with the Children’s Picture Book Class I teach! Oh, thank you, Michelle! I appreciate that. 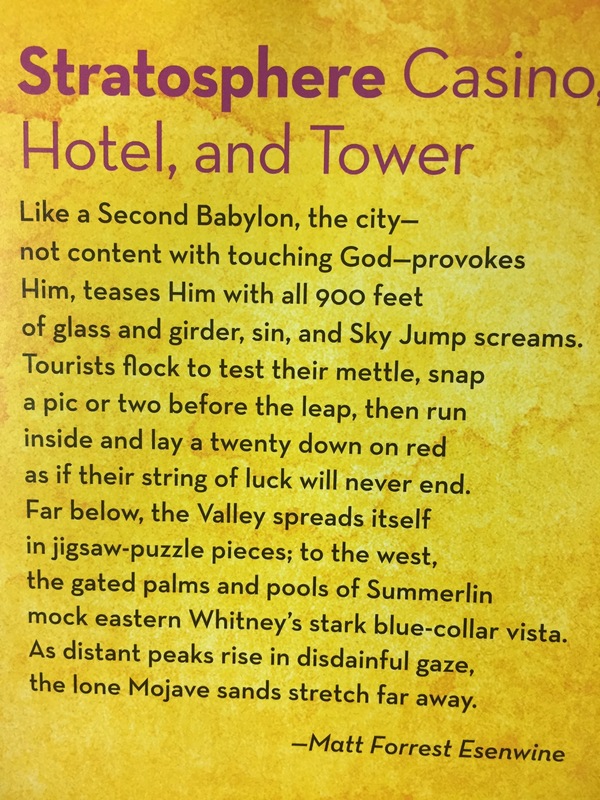 I “borrowed” the tone of that last line from Shelley’s “Ozymandias,” as I felt a connection between the ruins in his poem and the grandeur of Las Vegas. Please be sure to send me your address and I’ll get the book out to you asap! Thank you, Catherine. As I mentioned, I tip my hat to a very famous poem at the end, which is Shelley’s “Ozymandias.” The ruins in his poem and Las Vegas felt like two massive monuments to Man…and neither will last forever. Congratulations on your poem! I would not even know where to begin with a poem about Las Vegas. I had no idea about the Sky Tower. Thanks for teaching me something with your poem! Thanks, Kay! I had no idea about most of this until I researched – it was especially fun “driving” around the city! Matt, you captured Las Vegas without seeing it. Good job on your research and the rich language you used to write your poem. I have been to Vegas twice. It is a city that seems to never sleep but there is so much there that goes beyond the honky-tonk flavor of the city. Congratulations! Now I am back to the business of finishing the design of The Art of Summering. Thank you, Carol – I’m glad it captured some of what you’ve experienced. And best wishes on your gallery…I’m looking forward to seeing it! What a treasure this book is! I’ll share my poems next week! I’m looking forward to seeing yours, Mary Lee! Congratulations! I hope your copy arrives soon! If the other Nat Geo anthologies are any indication, you’ll be busy for days in reading it all. And who minds that kind of busy-ness? What a wonderful sweeping poem of the Stratosphere Casino. And, I love that it came from research. That’s one of my favorite aspects of writing…the finding out of details. Many congrats for making it into the book. It’s really fun watching your winning streak. Go, Matt, go! Thank you, Linda! It’s always an honor to be part of a Pat Lewis anthology, so I feel very fortunate. Gotta love YouTube and Google! Thanks, Buffy…I’m looking forward to reading yours! Love your poem, Matt. I hadn’t heard of this particular hotel/casino. Now I’m interested in learning more and also reading the rest of the collection. Thanks so much, Kimberly. The Stratosphere is actually one of the more well-known attractions these days (from what I read! ), not only because of its height but also because of the amusement rides at the top! Congrats, Matt. It is an interesting place to go. It sounds like it! Thanks, Jone.